I’ve spent some time doing translation work at Gengo as a side job, and while lately I’ve reduced my time there, I still think they provide an excellent service with a well-optimized workflow and great customer support. One of the reasons I’ve gravitated away from Gengo is because they don’t focus on content that requires a creative touch, such as fiction, which is personally what I enjoy translating the most. In fact, they have a clause in their policy that discusses this, telling customers to not submit these types of jobs, although since every job is not strictly filtered you can still occasionally see some of said content. So when I heard about Babelcube, which purports to “take books global” by offering a service for book authors to find translators for their works, I was really excited. I had heard about the site from several places, including someone who specifically recommended it to me for getting into more fiction-related translation. On internet forums the general consensus was that the pay for translators working through Babelcube wasn’t that great, but more than making money I am interested in getting a translation published in a more formal place than my website (ideally a physical book). Making an account with Babelcube was quite easy, and though the web site design didn’t dazzle me, it was functional enough to allow me to quickly do a search of Japanese books for which the author wants to have a English translation made. There is also support for translators to advertise they are interested working as a team, where one person acts as lead translator and the other as editor/proofreader, which is nice. On my first search, two books came up. Unfortunately, when I looked closer, I saw that both books were already written in English, which means they didn’t fit my search criteria. After double checking things, I wrote to customer support who responded in around a day, saying that an author had incorrectly listed these books. That was a few weeks ago. Since then I have done a few more searches, but have not seen any Japanese books on the list of available jobs, even a single time. The two misregistered books are still there. I put out a separate query to Babelcube about whether they support email notifications to inform translators of available jobs in their language pair(s), but they only said it was not supported, with no indication as to whether they plan to add that feature. It took much longer for me to get this response from them, around 4-5 days. Though the site limits job searches to the language pair I signed up for, from what I hear other languages, such as Spanish, have more jobs on Babelcube. So if you are interested in their service I would still recommend trying it out. Even for Japanese, hopefully the number of jobs will increase eventually. 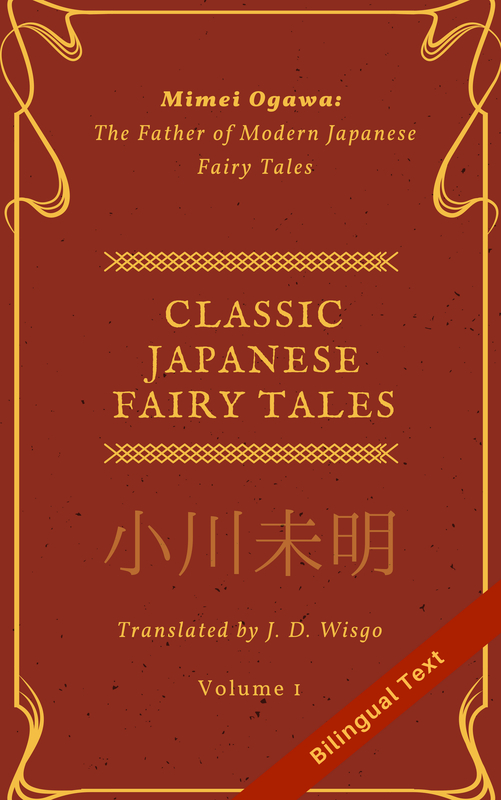 Perhaps the lack of jobs there is due to a combination of a smaller need for Japanese to English fiction translation in the world, plus the fact that (established) authors are still used to a more traditional workflow involving publishers. Regardless, I’ll keep checking back once in a while, hoping for the best with Babelcube. Out of curiosity I asked Gengo if they had any special queues for fiction/creative works and they said not at the moment, but at least they acknowledged they would consider it. While not horrible, Babelcube’s customer service was a little lacking, and improving that to approach Gengo’s high level might help get more popularity. To be fair, Gengo has been around 2008, whereas Babelcube only a fraction of that, so let’s give them a chance to evolve and grow. One of the issues I perceive with [all] such services is that of verification. It seems incredibly easy for a native speaker of the destination language – who might have no real knowledge of the source language – to pump the raw original into a computational translation tool, then tweak until it reads “naturally”, submit, and hope no-one notices the clangers of translation subtlety that remain uneliminated. I wonder how such translation sites can mitigate for these factors? Perhaps simply soliciting three (or more) translations and comparing is enough. But if that collection of “cheap” translations are from people all doing the same trick then the comparison will likely be invalid. I am coming from this with my security computer scientist hat on, but I think the criticism makes a strong argument for high-quality, referral-supported translations over those sourced from anywho with an internet connection. In the coding industry cheap outsourced jobs often cause more problems than were worth the “saved” cost of casting the net as wide as it was actually thrown. In your case, Locksleyu, I realise that you are perhaps seeking experience under your belt to unlock more lucrative, referral-supported positions. And all hats off to you. It just saddens me that those with whom you are competing are likely of a much lower calibre. Thanks for the insightful comment, and also thanks for the compliment (though to be fair I know little about the ‘competition’ so I cannot comment if I agree with you on that). I disagree with fundamental premise that it is easy to use a automation translation tool and ‘tweak’ it to make it sound natural. At least for Japanese->English, the result of the tools are often gibberish, so just understanding what they are getting at is hard, and w/o knowledge of the source language I’d say almost impossible. However, what I think is equally challenging is the process of making ‘natural’ target language text. When I do a translation, often my first translation is reasonably ‘correct’, but it may take 5 or more passes to make it sound natural, and doing so requires significant editing and proofreading skills (which I myself am still learning). If you add the fact that pay is (supposedly) low, there is little incentive for someone to do a fraudulent activity that requires much time to refine a (surely) invalid translation. But if we make the leap that such a thing is possible, I don’t think soliciting multiple (entire) translations is feasible. I am pretty sure on Babelcube you can check the past history of someone, so if you pick a person who has just started out, of course there is some risk you run into trouble. But as you make more customers happy, you build experience which future customers can see.